UPSC Exam: UPSC invited application form for Indian Economic Service Examination, Indian Statistical Service Examination & Combined Geo-Scientist and Geologist Examination 2019 from eligible candidates. The detailed eligibility and UPSC online application form procedure are given below. Note: Degree from a university incorporated by of an Act of the Central or State Legislature in India or other Educational Institutes established by an Act Parliament or declared to be deemed as University under Section 3 of the University Grants Commission Act, 1956 or a Foreign University approved by the Central Government from time to time. Part I – Written examination carrying a maximum of 1000 marks in the subjects given in notification. Part II – Viva-voce of such candidates as may be called by the Commission carrying a maximum of 200 marks. Penalty for Wrong Answers (in Objective Type Papers): For each question for which a wrong answer has been given by the candidate, one third (0.33) of the marks assigned to that question will be deducted as penalty. Viva-voce: The interview is intended to supplement the written examination for testing the general and specialised knowledge and abilities for the candidate. 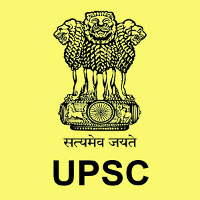 UPSC IES/ISS Exam Centers: Ahmedabad, Allahabad, Bangalore, Bhopal, Chandigarh, Chennai, Cuttack, Delhi, Dispur, Hyderabad, Jaipur, Jammu, Kolkata, Lucknow, Mumbai, Patna, Shillong, Shimla, Thiruvananthapuram. All interested and eligible candidates apply for this position in online latest by 16 April 2019. Note: Master Degree from University incorporated by an Act of the Central or State Legislature in India or an educational institution established by an Act of Parliament or declared to be deemed university under section 3 of the University Grants Commission Act, 1956. Part II – Interview/ Personality Test of such candidates as may be called by the Commission, carrying a maximum of 200 marks. Ahmedabad, Allahabad, Bangalore, Bhopal, Chandigarh, Chennai, Cuttack, Delhi, Dispur, Hyderabad, Jaipur, Jammu, Kolkata, Lucknow, Mumbai, Patna, Shillong, Shimla, Thiruvananthapuram. Interested and eligible candidates apply for this position in online latest by 16 April 2019.